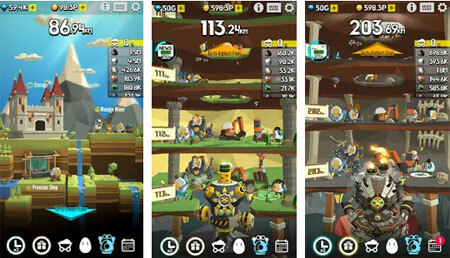 Ground Driller is a unique simulation game from mobirix. Mine diverse gems and minerals with a powerful excavator and cute miners. Rarest gems are found only in the deepest part of the earth so dig as deep as possible. Digging and mining are done automatically. Uranium, nickel, copper, coal, iron ore and other minerals can be collected. You must upgrade your excavator to get deep into the earth. Capable miners can mine more minerals than others. There are various surprise events. If you get stuck in the game, check out the video walkthrough and gameplay for the game. This entry was posted in Android Games, iOS Games, Mobile Games, Walkthrough and tagged Ground Driller Cheats, Ground Driller Gameplay, Ground Driller Guide, Ground Driller Strategy, Ground Driller Walkthrough by Marvin. Bookmark the permalink.